DESCRIPTION This fantastic heritage home is located in a fantastic location, close to the pool, schools, church and shopping!!! This beautiful home is situated on a massive double fully treed corner lot!! Plenty of parking in front of the garage and still loads of room for the kids to play!!! Walk onto the massive private covered veranda and then enter into a generous sized entrance that leads into a huge living room and even bigger dining room that features a wood burning fireplace!!! The kitchen is also large and includes stainless appliances and plenty of storage. The master bedroom is 2 tiered and features tons of room perfect for a home gym or use it for your own quiet reading area. Also on the main level another room that could be used as an office or as another bedroom. Upstairs is 2 more bedrooms and a 3 piece bath and plenty of architecture!! In the basement is a new furnace and hot water tank, large laundry room a 5th bedroom and a living room. This home is a must see!! Home for sale at 426 1 ST S Vulcan, Alberts T0L 2B0. 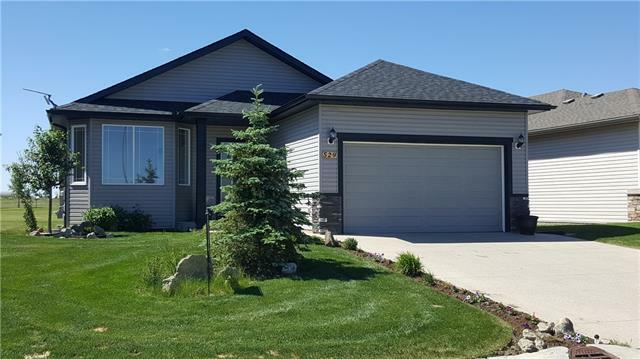 Description: The home at 426 1 ST S Vulcan, Alberta T0L 2B0 with the MLS® Number C4224624 is currently listed at $209,900.